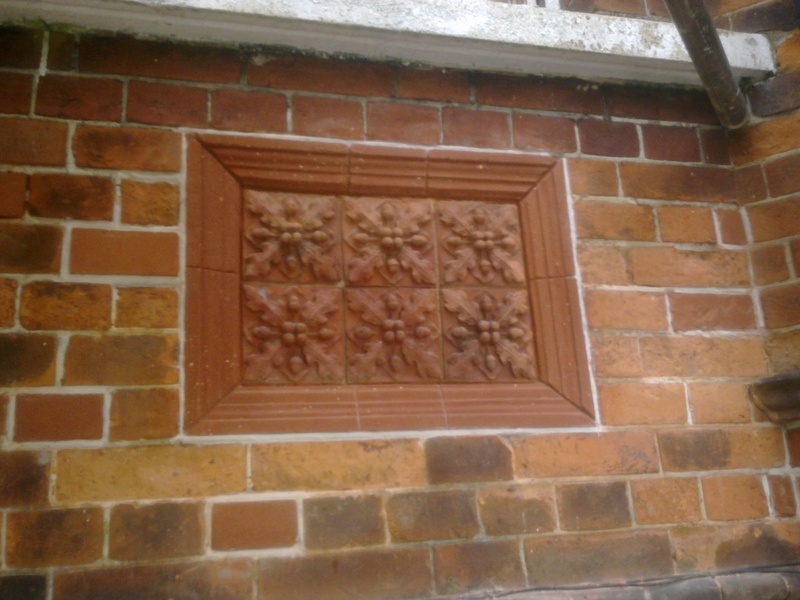 At the beginning of September I returned to Preston Road with my smart new van and signage to start work on the brick repairs and restoration of the terracotta panels. As the scaffold was being erected I devised a mortar mix for the ‘plastic’ repairs and used pigments to produce different colour samples. It took about a week to prepare the bricks and panels for restoration. 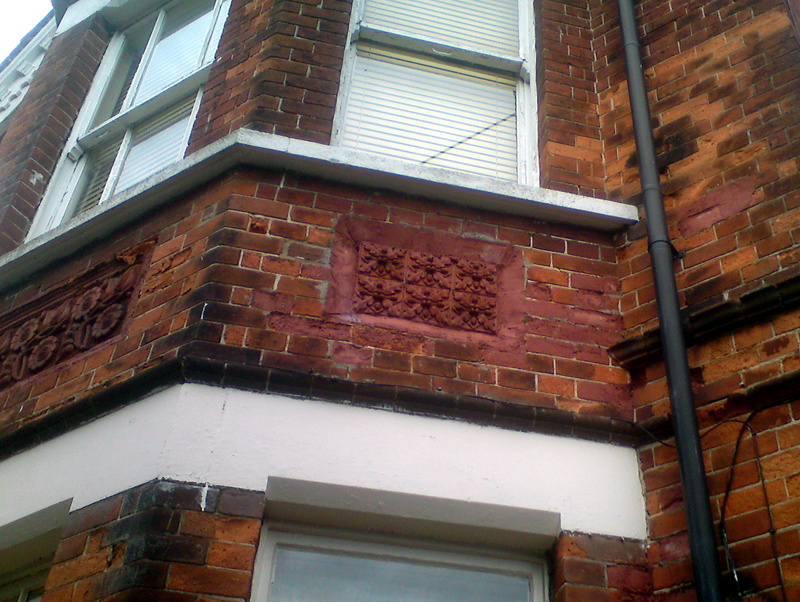 Previous repairs were unsympathetic in colour and material; made using poorly matched paint and a cement based mortar which was suffocating the bricks beneath and causing them to crumble. The brittle cement and paint were removed by hand taking at least 15mm off the face of each brick and leaving a rough surface as a key for the new colour-matched and breathable mortar. I spent the next few weeks making the repairs, helping to restore the facade of this elegant Victorian property.